Who cares if it’s summer? Sometimes you gotta get your soup on. Although this soup is hot, it’s still summery. Asparagus, fresh tomatoes and shoepeg corn all come together to make a beautiful soup. Does it matter that it’s hot? Hell, your burger would be hot as all hell, so what’s the difference. And these damn grilled cheese croutons are the bomb. If you’ve never had Havarti cheese before, try it out. It makes the most perfect grilled cheese. The texture and butteriness is perfect for this. Try to avoid canned corn because fresh definitely wins here. It’s seasonal, cheap and will make your soup a rockstar. If you’re wondering about the tarragon, I know it’s not something you would traditionally see in a soup like this but I definitely have an affinity for it. For me, it literally transforms dishes. I love it in this. I love it in everything. Place the asparagus, tomatoes, corn and chicken stock in a food processor and pulse until pureed. Add soup to a medium size pot over medium heat and bring to a slow boil. Add the rest of ingredients and reduce heat to low. Add more Parmesan, salt and pepper to taste. Make the grilled cheeses with bread, cheese and butter and cut into squares. 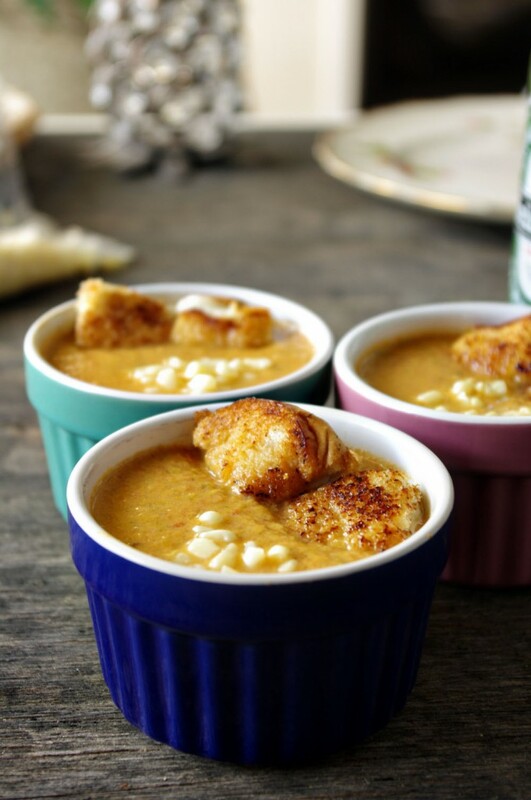 Serve soup with grilled cheese croutons. asparagus, corn, dinner recipes, grilled cheese, havarti, shoepeg corn, soup, soup recipes, tomato. Bookmark. This is such a beautiful soup! 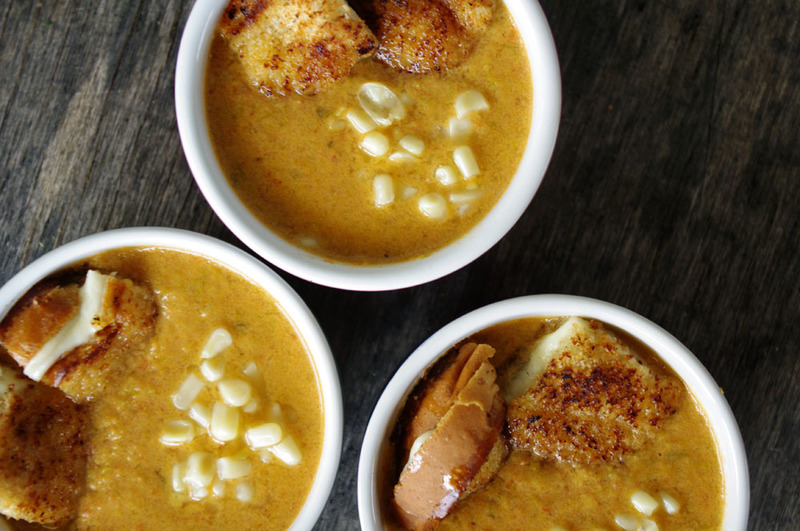 I love all the addition of fresh corn, and those havarti grilled cheese croutons have my name written all over them! So much yum! All of these ingredients sound so good together. What a great idea! All the flavors of spring and summer tucked away for the next long grueling winter! I will mark it in my freezer “Valentines Dinner”! By then I am exhausted of winter. Yum!! Thank you sweet Ally, I love this soup so much. what a delicious comfort soup. I am always looking for new ways to hide veggies as hubby doesnt eat many of them. I think this will fool him for sure! Thank you Claudia! It’s one of my favorites.